Peter Galbert was at Highland all last week teaching his Windsor Chair class. 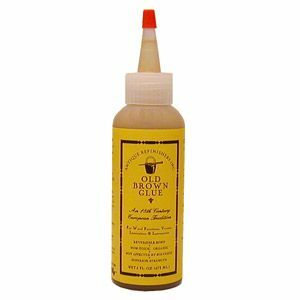 After so many years learning his craft, Pete’s brain is full of useful nuggets like this one on how to maximize a bottle of Old Brown Glue. The problem: constant re-heating of the glue bottle was causing the unused glue to get clumpy and unusable before you can actually use all of the contents of the bottle. The solution: empty the glue into an old ice cube tray you aren’t using anymore, and put the ice cube tray in the refrigerator (not the freezer!) The cold turns the glue into gelatin-like cubes that you can store individually in a ziploc bag in the refrigerator and then easily pull out, one at a time. One cube is usually enough for the glue-up of a single chair! Thanks, Peter!